Whim is a collection of media focused on independent rock/pop/garage and everything surrounding it. This week gives us a new Thick Shakes single, tracks from Arc In Sound and Pure Bathing Culture, and the announcement that Girls might be done. Boston’s best kept secret isn’t some hole-in-the-wall diner or hidden cabaret, but a four garage rock outfit led by bassist and vocalist Lindsay Crudele. Thick Shakes have been thrashing the east coast for a few years now, originally breaking onto the national scene with early 2011’s raucous Why Buy the Cow 7″. 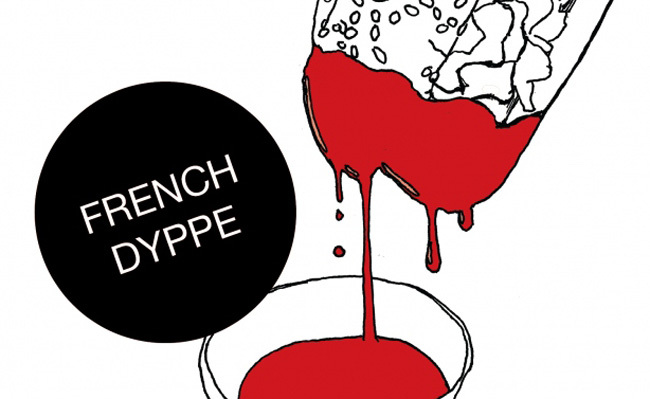 On French Dyppe, the group’s newest single, the band refines their brand of wall-smashing thrash pop, creating even more buzz on the east coast and beyond. French Dyppe is out on cassette via Aurora 7 on July 7th. With just a bit of experimentation, and a dash of undeniable charm, this group of Philly rockers have caught my attention. With their debut out now on La Société Expéditionnaire, Arc in Round have that perfect mix of dark pop and space rock, a modern take on the classic shoegaze sound. “One Sided” is immediately accessible, a flattering description for this new, yet familiar, pop song that will get your toe tapping the second is starts. And maybe that’s too cliche, but sometimes a great pop song can transcend those boundaries, and “One Sided” damn near does just that. Even though Portland’s own Pure Bathing Culture released their debut EP last month on Father/Daughter Records, I haven’t been able to take my ear off this band, especially with the sunny weather as of late. The duo of Daniel Hindman and Sarah Versprille have a sound and dynamic that’s virtually unmatched in today’s landscape, creating tight, precise tracks that come across even more aurally surreal in person. Which is why Pure Bathing Culture is a must see at this year’s MusicFestNW in September. Check out “Lucky One” for yourself, and grab a copy of self-titled 12″ here. File this bit of news under “things I didn’t see coming.” Chris Owens, the lead singer and guitarist of Girls, has decided to leave the band, leaving the two piece outfit in shambles, yet somehow not totally dissolved. Although Owens says he will continue to release music, this announcement certainly comes as a surprise, especially as the band’s popularity is at an all time high after last year’s revered Father, Son, Holy Ghost. Personal wellbeing certainly trumps musical endeavors, so whatever his next project might be, I at least hope Owens can be at better peace with himself. Let us enjoy “Lauren Maurie” one last time.